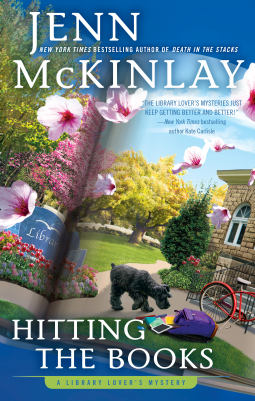 McKinlay's librarian-protagonisted mystery novel gets library details right, since McKinlay is a librarian. There don't seem to be any non-librarian staff at the libe is my only complaint, other than the fact that mysteries don't seem to be my cup of tea, even librarian mysteries. Maybe because narrator Lindsey Norris is a coffee drinker who has a dog. jk, to each their own hot bev and animal friend. Hitting the Books is the latest in the series, and I'm moderately interested in going back to the beginning. Points for patron privacy being on display.